This room is a triple room. 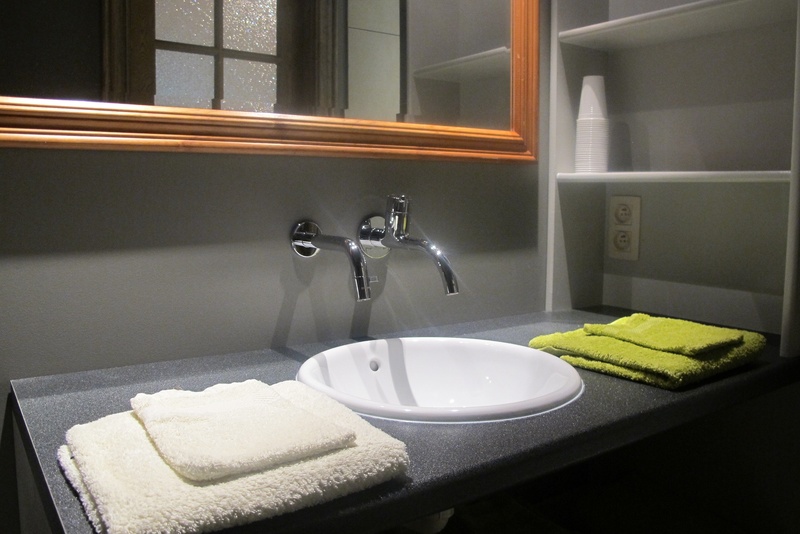 There is a luxurious shower, washbasin and lavatory. 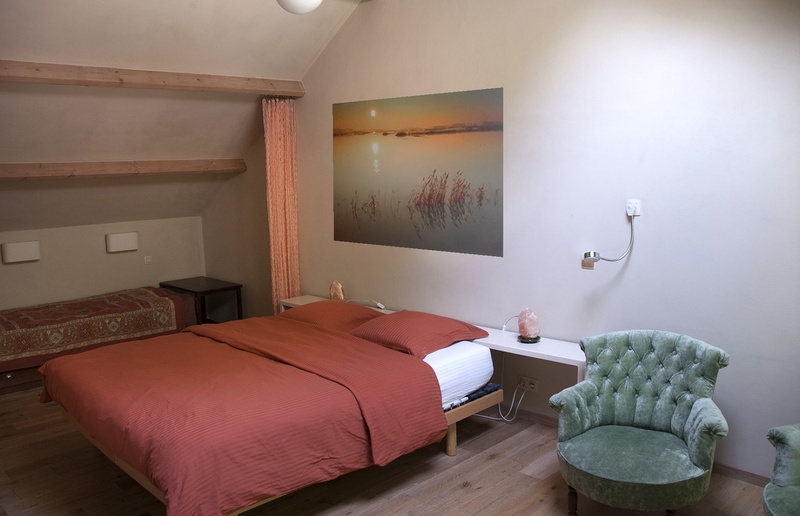 The room has digital television (Telenet) and wireless internet. 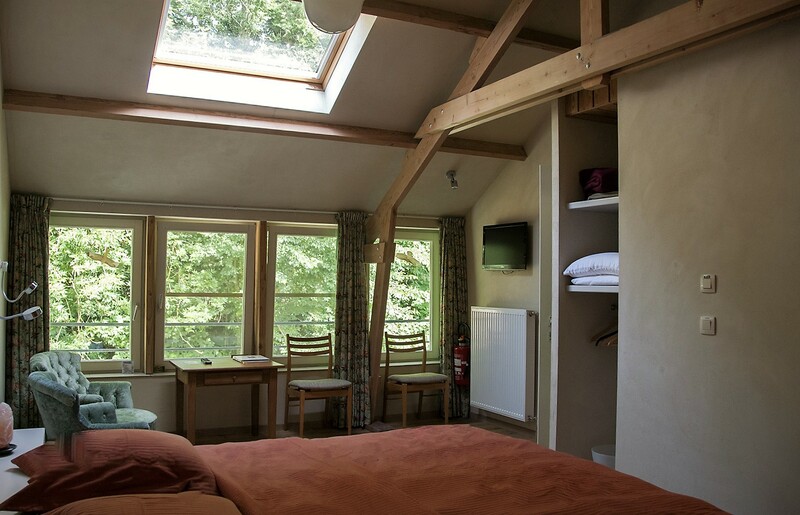 This room is a triple room and has a double bed and a single bed. 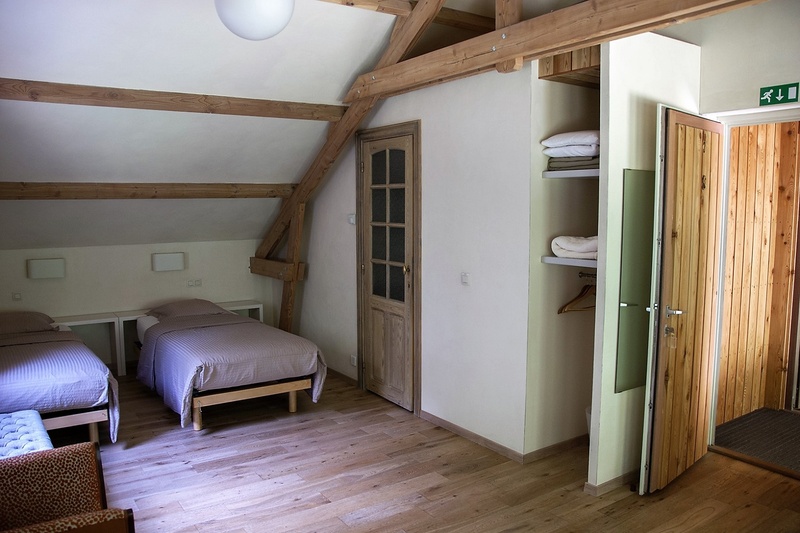 This room on the ground floor is a double room for people with mobility disabilities. 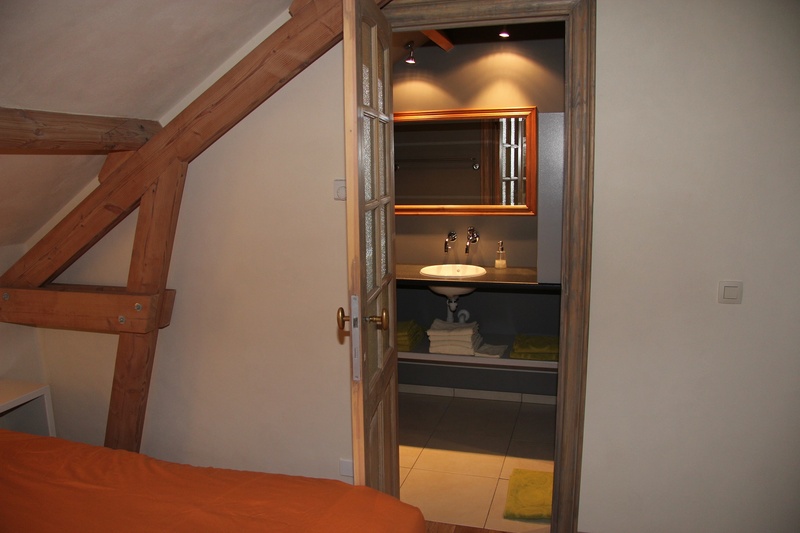 There is an adjustable washbasin, an accessible toilet and a shower with seat and bars. 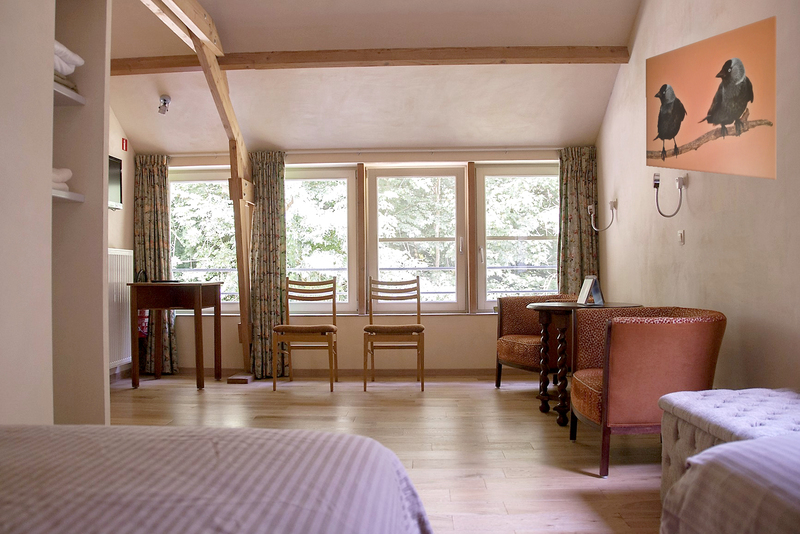 The family room can accommodate up to five people with the possibility of five separate beds. The room has wireless internet. 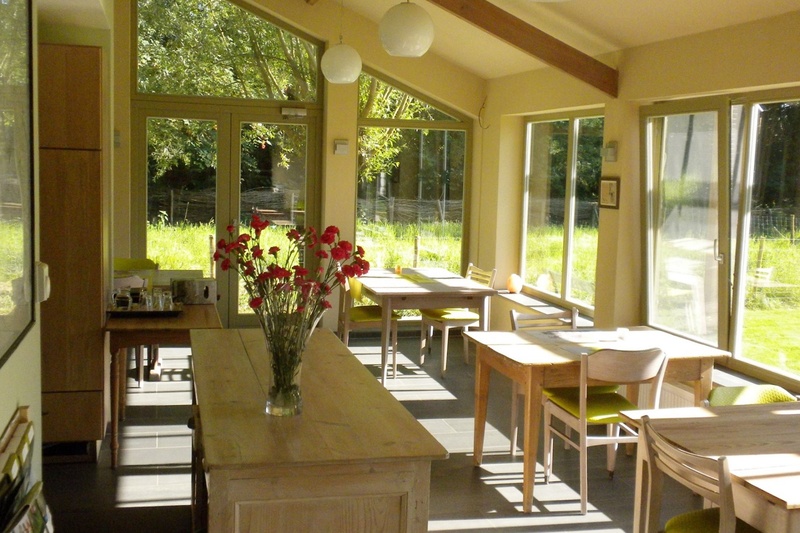 You can take your breakfast in the breakfast area with view on the garden. 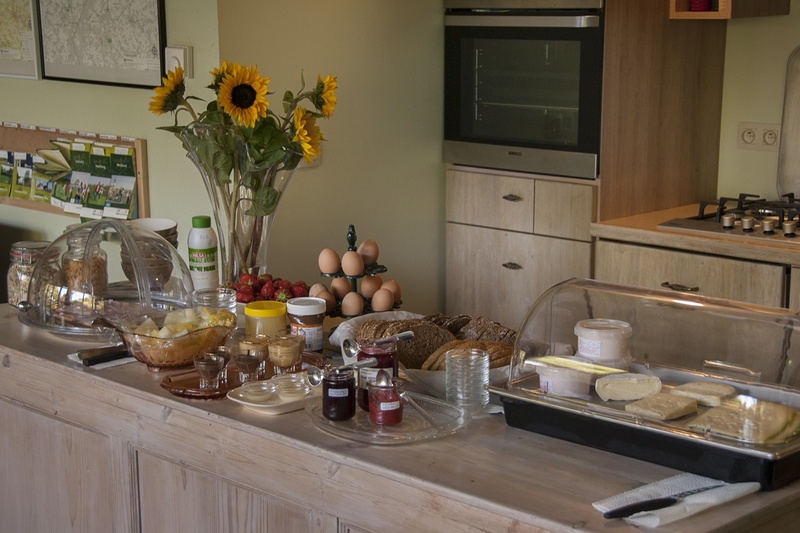 In the extensive breakfast you find a choice of regional biological products. This area also serves as a cozy reading and sitting area. In the kitchen corner you find a small kitchen with microwave, refrigerator, water cooker, tea- and coffeepot. Don't hesitate to take a free coffee or taste the local beers!